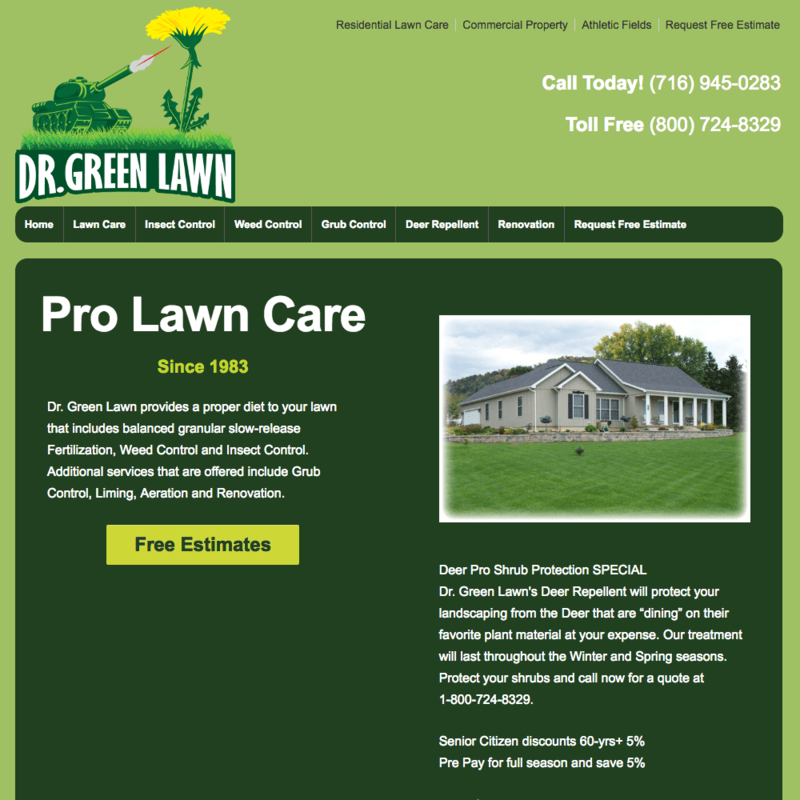 Today Dr Green Lawn provides their services to residential, commercial and athletic fields. Their four visit lawn care treatment is their most popular to with residents to deliver a lush green lawn without the weeds. 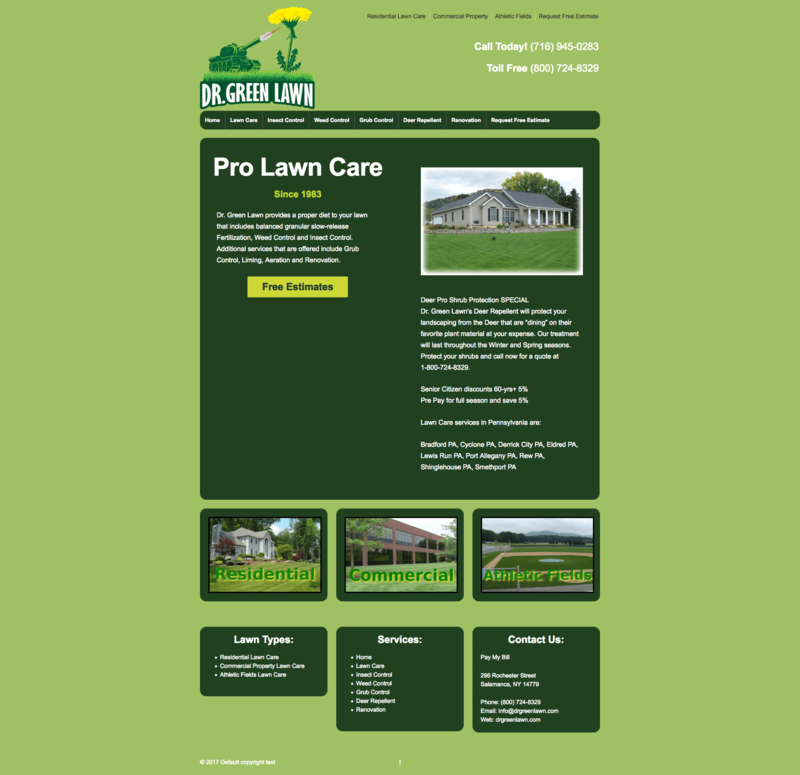 Dr Green Lawn was established in 1893 has been growing ever since. The came to Big Waterfall and asked us to design a logo that depicted an old military tank blasting a dandelion. After the logo design was delivered we designed the responsive website to target all of the towns in Dr Green Lawn’s serviceable area. By creating multiple doorways in the geo-location SEO campaign, we expanded their reach to more customers searching for lawn care treatment companies.